If you’ve spent September (a.k.a. 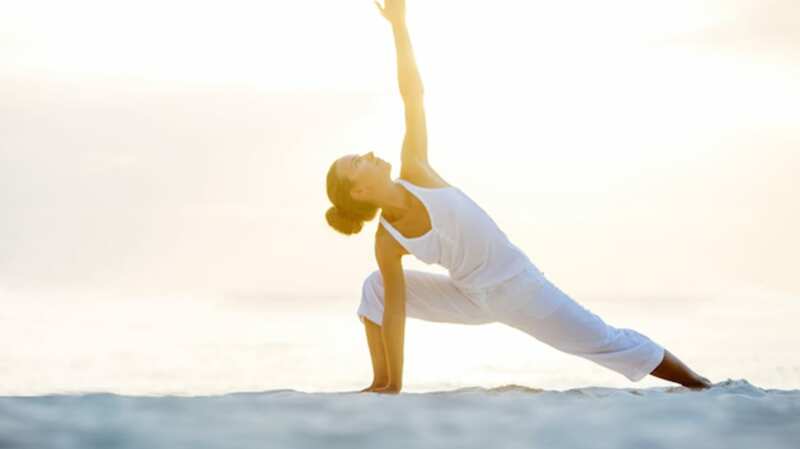 National Yoga Month) hitting the mat and want to keep up the routine of stretching and centering yourself, packing your bags for a yoga retreat can be a great option. You’ll take part in regular classes (often two a day) with a relaxing setting to help you unwind. For those reasons, these kinds of retreats have become big business in recent years—in fact, wellness travel in general makes up about 14 percent of all tourism spending worldwide, according to a 2013 study by the Global Wellness Institute [PDF]. Going on vacation to do yoga might seem like it's only for people who are super-bendy and totally Zen and spend hours hanging out in downward dog. But a lot of resorts and companies offer packages that are open to newbies. You can work on your sun salutations in the morning and then go surfing, try some new dance moves, head for a hike, or take serious advantage of happy hour. Here are four brands that host awesome retreats—both across the country and abroad—that boast all kinds of fun extras. These three-day retreats, organized by Eventus Outdoors and sponsored by outdoor gear giant REI, offer a little something awesome for all women who love getting outside. Get your blood flowing during daily yoga sessions led by PrAna athletes and instructors, then pick and choose which activities excite you. Into nature? Go kayaking, rock climbing, mountain biking, or learn about wilderness survival. A little more laid-back? Try your hand at photography on a relaxing hike, learn about map and compass basics, or enjoy a class about essential oils. Whatever your adventure, you’ll stay fueled up with meals fresh from local farms, then camp out or opt to spend your nights in a nearby hotel. Travelers this year headed to Lake Tahoe, California, and Powder Mountain near Salt Lake City. Choose a getaway to Yellowstone and you can relax in the national park’s natural hot springs in between your classes on the mat. Other activities to choose from, depending on the package you pick, include wine tasting, and Nordic skiing, as well as pottery-making and journaling to boost your creativity. This popular yoga studio chain (it boasts more than 150 outposts around the U.S.) hosts getaways that combine stretching with adventure in scenic destinations like the Red Rocks in Denver. This November, they’re leading a week-long trip to hotspot Tulum, Mexico. Each day, they’ll lead you through two 75- to 90-minute yoga sessions (which incorporate light weights and cardio bursts), plus guided meditation each morning. In between your bouts on the mat, you can take up all kinds of eco-adventures—hike the nearby Mayan ruins, try a tour, or go snorkeling. Some extra R&R more your speed? Book some healing bodywork at the Maya Tulum spa before heading to an ocean- or garden-view bungalow for the night. If you couldn’t tell from the name alone, this company’s excursions are far from the typical relaxing retreat. For one thing, you can expect to trade in those nature sounds and that New Age-y music for upbeat playlists including tunes from artists like Outkast and Led Zeppelin. Instructors lead you through yoga and meditation classes, but then you can take on fun extra activities—like hiking, stand-up paddleboarding, and dancing—based on your interests and where you go (some recent locales include Croatia, Ireland, and Cuba). During the upcoming December trip to Cuba, for instance, you can spend your time in between twice-daily yoga sessions hitting the beach in Havana, taking a nostalgic car tour, going on a walking tour of the old city, and visiting a tobacco farm.